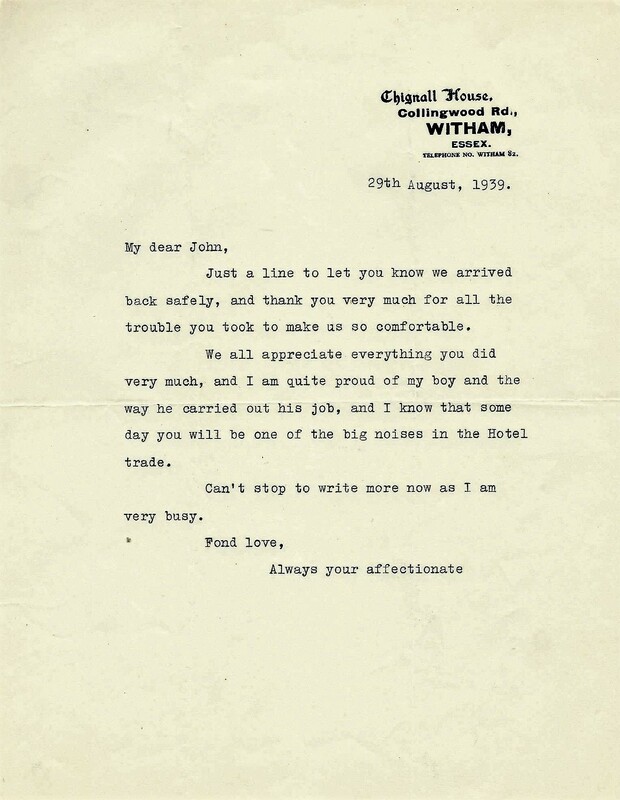 Below are a few of the letters that made up everyday communications in the company in the 1930s and 40s and which today give us a sense of how life and business were conducted. 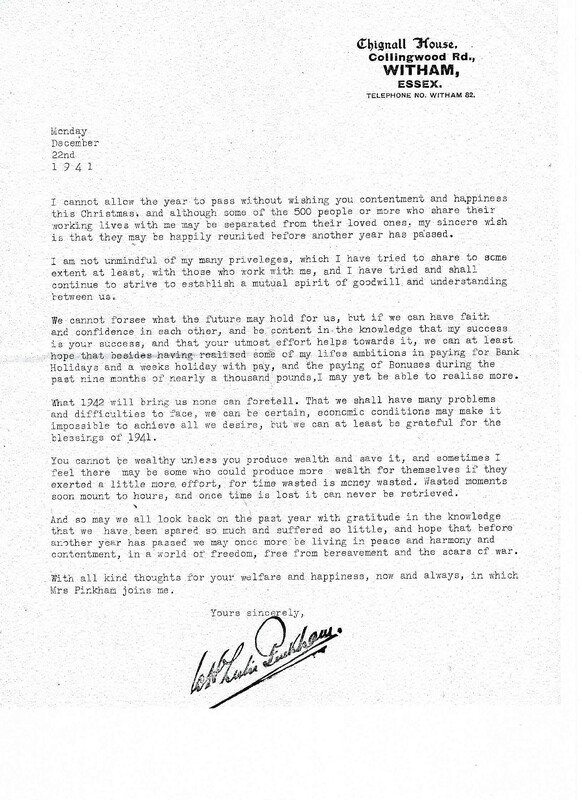 At probably one of the lowest points of the second world war, when morale in England was low Leslie Pinkham's heartfelt letter below reflects the concerns, worries and hopes of everyone. 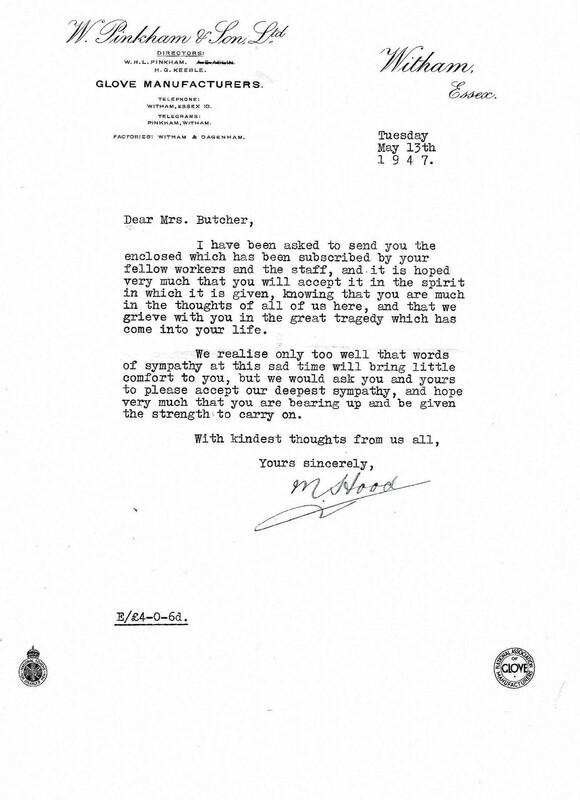 In May 1947 Ethel Butcher's husband died, below are some of the letters of condolence that were sent to her. Ethel who had started work at the Witham factory in 1926 was the sister of Geoff Ellis and Agnes Ellis who also worked for the company. John Pinkham worked abroad for a number of years before the war and in 1938 was working in a hotel in Germany. 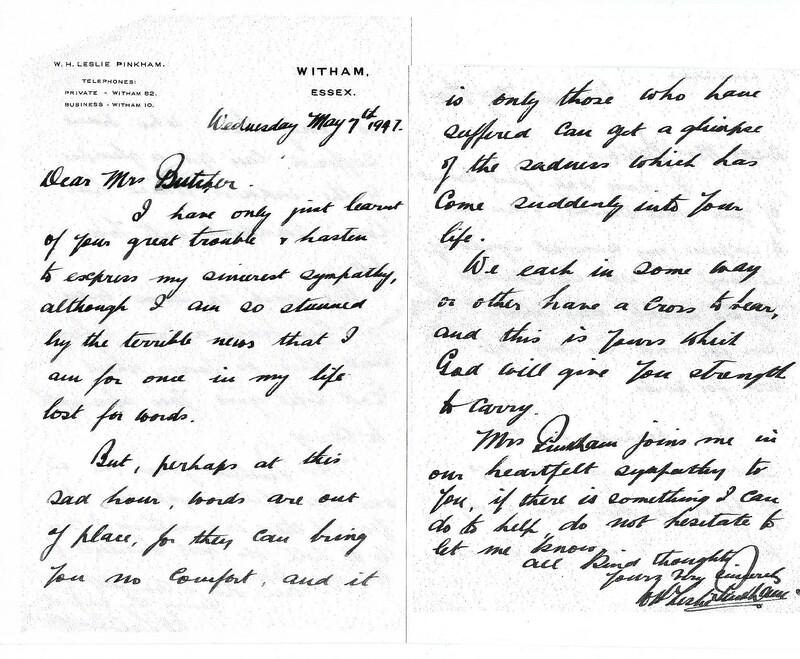 He and his father Leslie Pinkham exchanged letters every week. 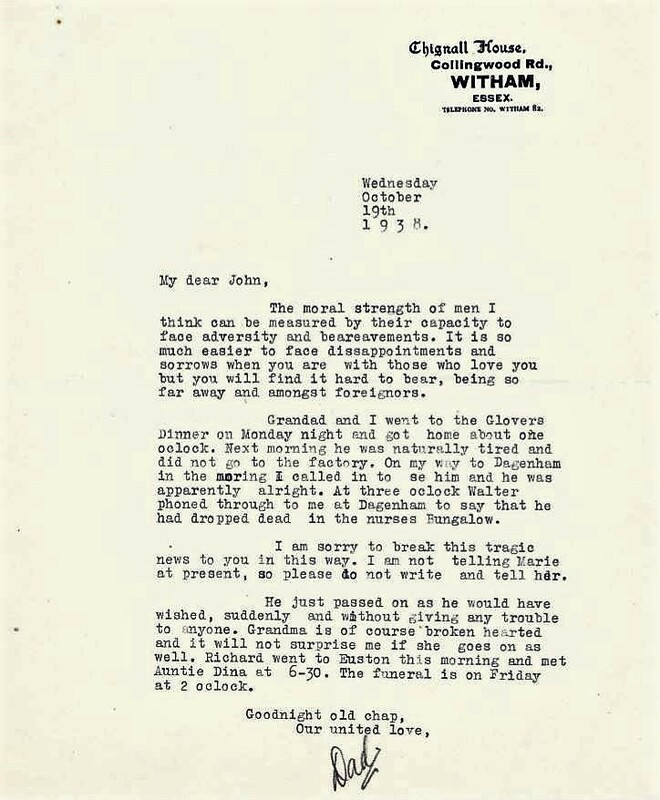 This is a sad letter from Leslie telling John that his Grandfather and founder of the company William Pinkham had died suddenly. 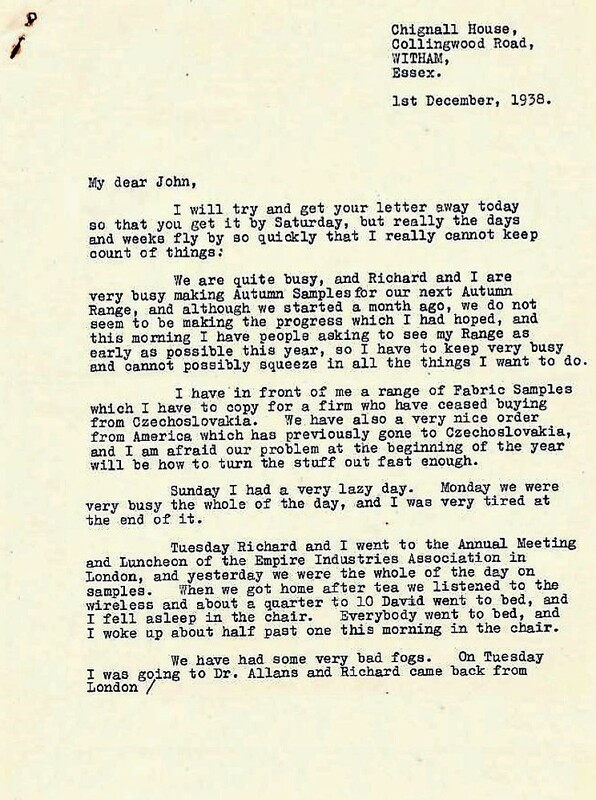 This is an interesting letter from Leslie telling John that the factory was getting busy. As can be seen from the date war was looming and as a result of German hostilities a number of countries had banned German imports. 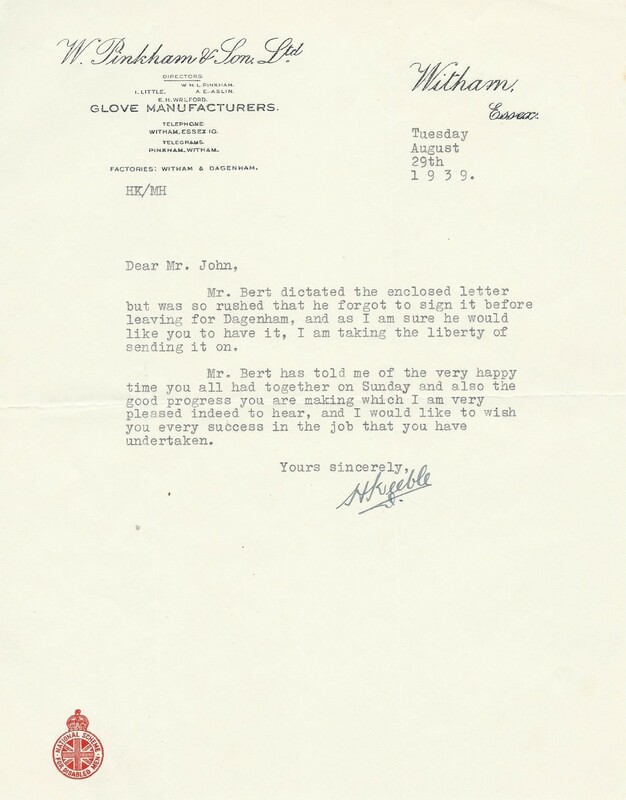 Consequently gloves were being sourced from new suppliers of which Pinkhams was one. It also paints a clear picture of the pressures associated with producing two new ranges of gloves a year. 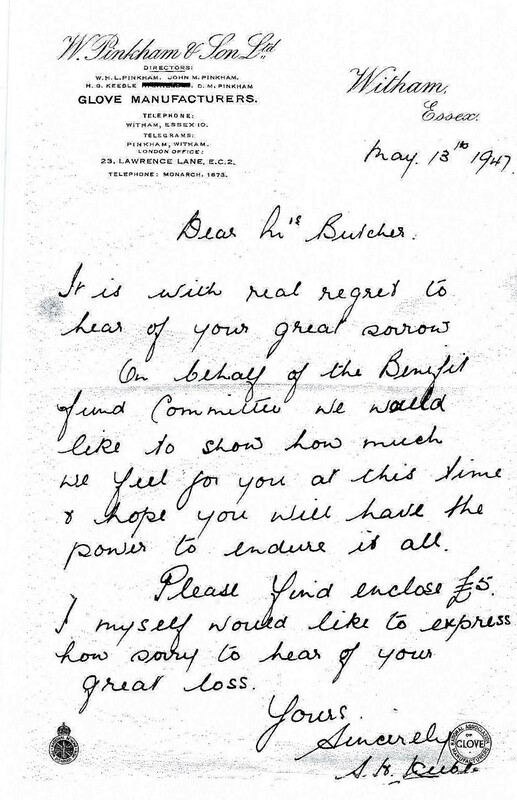 ..... on one occasion Leslie who was also known as Bert forgot to sign his letter.